Saba variety banana slices, ligtly fried in coconut oil and dipped in sugar solution. 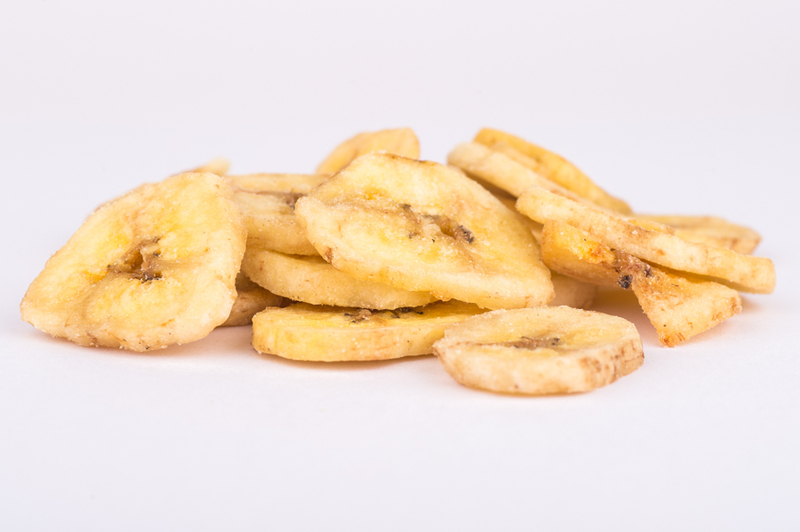 Banana chips should be crunchy and firm but not excessively hard, with a characteristic banana flavour, free from foreign odours and foreign flavours. The banana chips come from a BRC accredited supply.